"Do religions have an inherent right to be respected? Is atheism itself a form of religion, and can there be such a thing as a 'fundamentalist atheist'? Are we witnessing a global revival in religious zeal, or do the signs point instead to religion's ultimate decline? 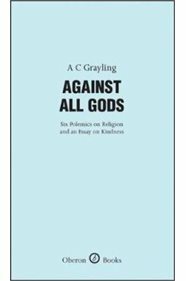 In a series of bold, unsparing polemics, A.C. Grayling tackles these questions head on, exposing the dangerous unreason he sees at the heart of religious faith and highlighting the urgent need we have to reject it in all its forms, without compromise. In its place he argues for a set of values based on reason, reflection and sympathy, taking his cue from the great ethical tradition of western philosophy."